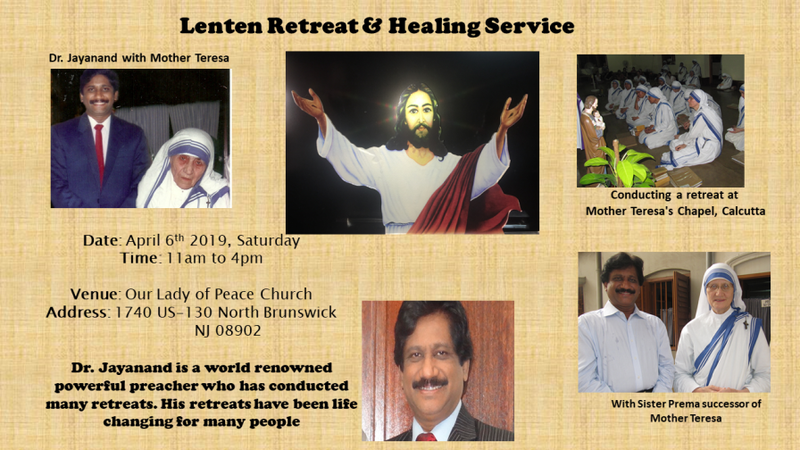 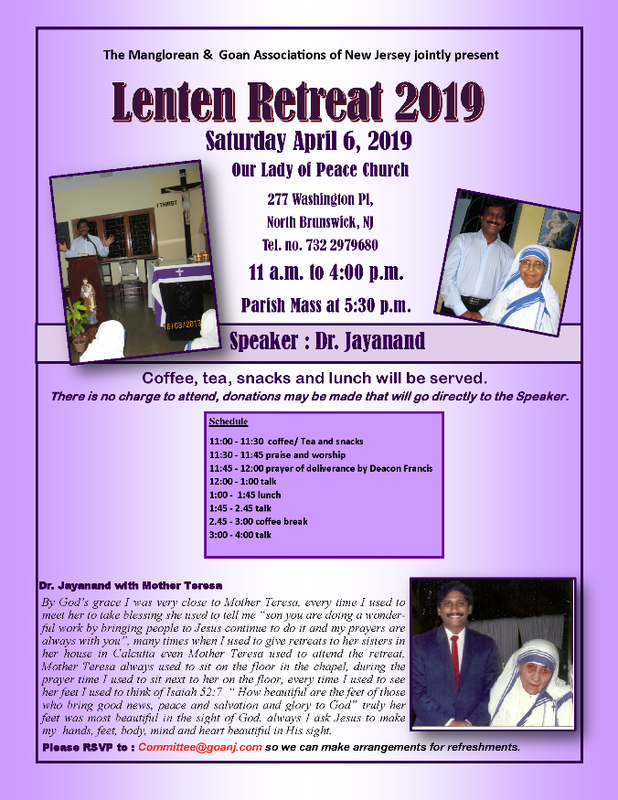 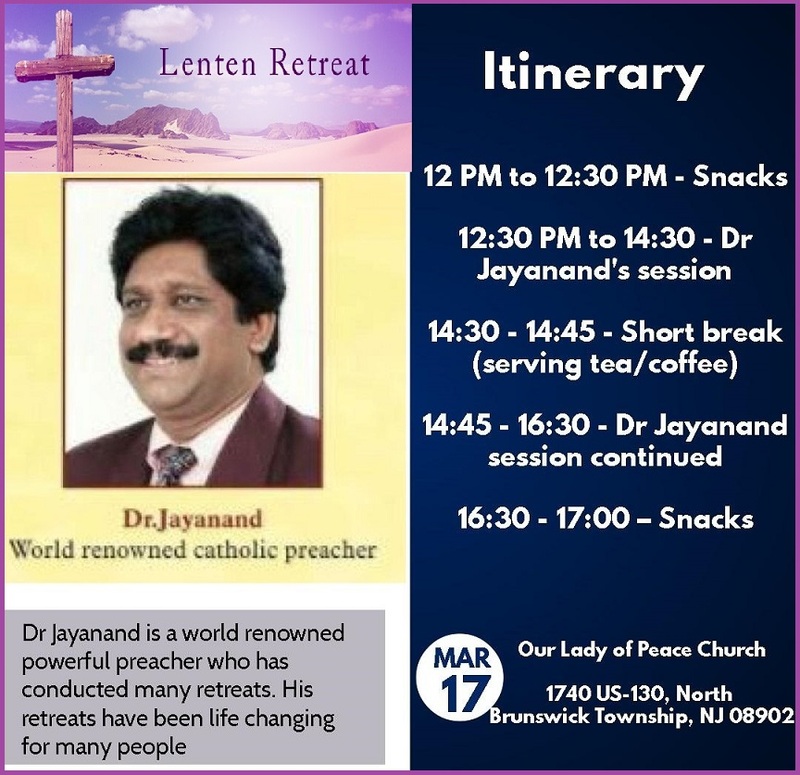 Please come and join for a Lenten retreat conducted by Dr. Jayanand, world renowned Catholic preacher. 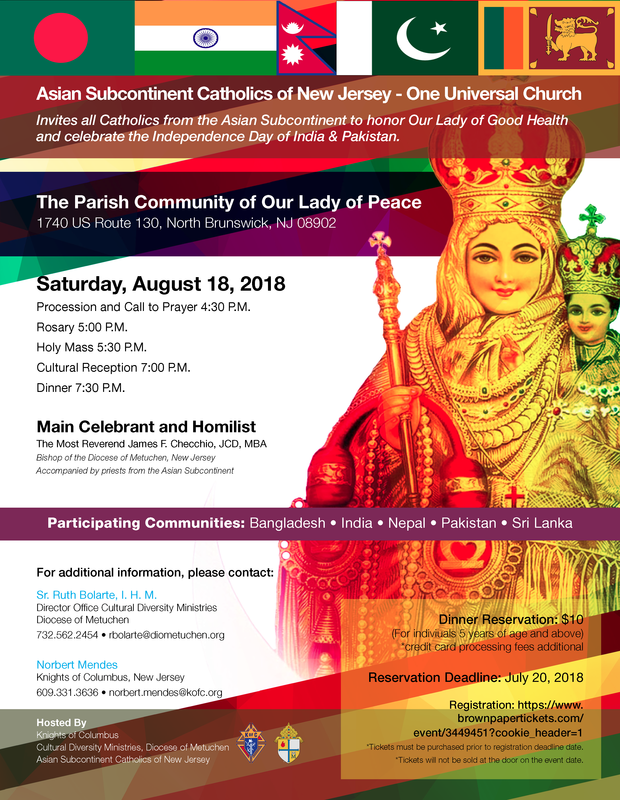 MCA-EC invites to celebrate “Monthi Festh” on September 09, 2017. 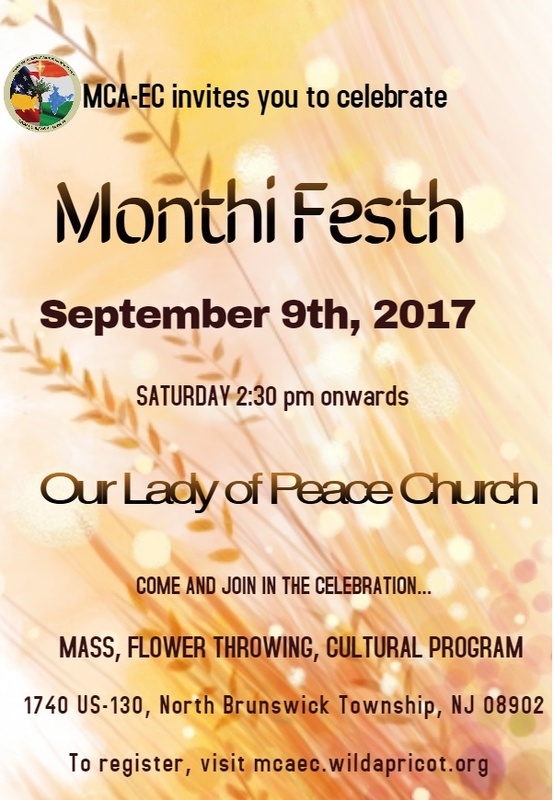 MCA-EC invites to celebrate “Monthi Festh” on September 09, 2017. 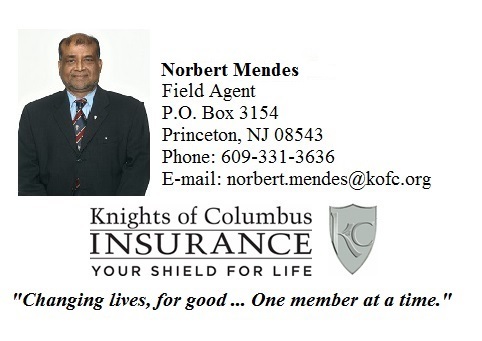 Please click here to register: Member $20.00 Nonmember $35.00. 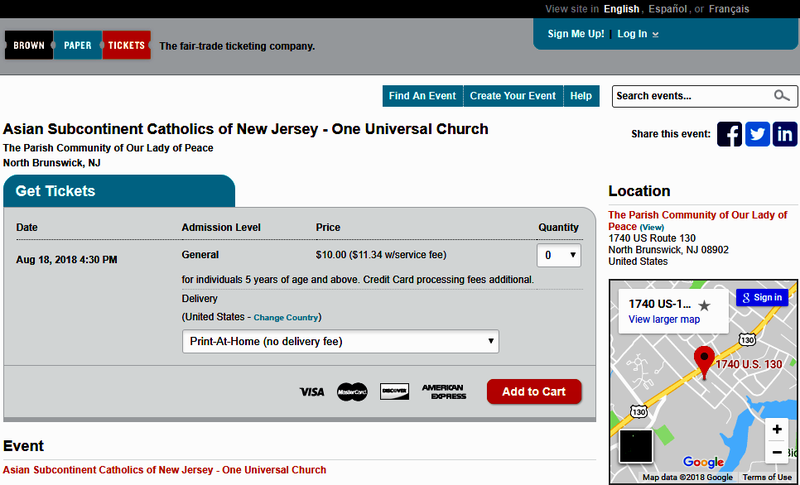 Please register by August 27th.